Real estate web development is a major key to successful branding in today’s market. Once you’ve started to build your Internet brand based on your personality and market niche, you need to bring that personal touch into your real-world promotional events as well. One of the best ways to do this is through the time-honored tradition of the open house. Open houses don’t hold the same weight they once did. Years ago, home seekers would put days aside to attend open house after open house – looking for the perfect match. According to Inman News, 89 percent of home buyers now rely on Internet listings and 88 percent on real estate agents to help them find potential matches. With today’s busy schedules, contemporary buyers tend to look for ways to screen potential homes for suitability prior to viewing the property. That being said, well-timed open houses still greatly enhance your chances of making a sale. 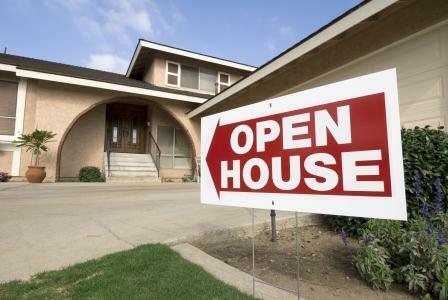 As a general rule, you should organize an open house for the first two Sundays a house is on the market followed by an open house no more than once every three weeks. 1. Make a memorable introduction. Greet everyone who enters the house with more than a cursory nod and a handshake. Ask what they’re looking for in a house and suggest features of the property you are showing that match their needs. Let your personality shine through. 2. Take advantage of the season. Seasonal touches added during staging can make a huge difference in helping guests visualize what it would be like to share special family moments in the house. Adding pumpkins, wreaths or other decorations can go a long way in making a house feel like a home. Make sure you keep the décor neutral so speaks to all audiences. Tap into emotional responses. Whether you walk people through or let them wander, don’t forget the little personal touches–bake cookies, make coffee, and use homely décor, scents and visuals. Make sure to adapt your style to each home. A small bedroom could be staged as a nursery to tap into the emotions of young couples considering their first child; larger homes can be staged as family spaces to attract moms and dads looking to expand. Find a signature way to make potential buyers feel at home and make that signature stand out at every open house you hold. And, of course, don’t forget to set out sales brochures and cards. 4. Always say goodbye. A potential buyer’s exit is the last chance to really make a connection with them. Take the time to ask what they thought of the home and make note of any insight they share. Make sure to get the contact information of anyone that seems interested; don’t just trust in them to call you. 5. Follow up! This is the most important thing to remember. Even interested clients may need a little push to make an offer or may want to see the house again in a more private viewing before they make a decision. Contact each open house attendee twice. The first time, just say thank you and remind them to visit your website or contact you with any questions. The second time, include either an invitation to view a particular house or an invitation to join your mailing list for access to regular updates and promotions. At Z57, we can help you take your personal branding to the next level, both online and in the real world. What are you waiting for? Give us a call at 858.899.8148 or visit www.Z57.com to get started.